How To Build Your Instagram Account From Scratch | GUI Tricks - In Touch With Tomorrow! 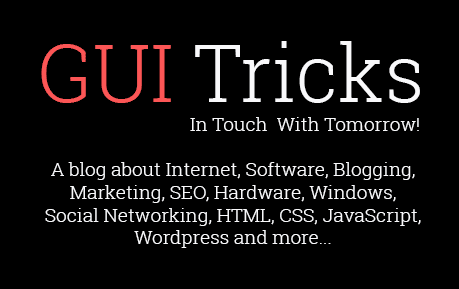 How To Build Your Instagram Account From Scratch - GUI Tricks - In Touch With Tomorrow! Today we live in the age of Internet, and the websites that are playing the most important role in this age are the social media sites. We all know the importance of social media sites today, and we also know how convenient it is to have a social media account. There are many active social media platforms like Facebook, Twitter, Tumblr, Snapchat and one of them which is on a rise and is competing with everyone else is Instagram. Instagram has become a big attraction for many brands and businesses since last year and is serving exceptionally well as a social media marketing platform. With over 600 million users, Instagram is becoming better day by day, and also it is estimated that by the end of this year around 70% of marketing businesses will be using Instagram. If you have a well set Instagram account, then you can use it for marketing efficiently. But if you do not have an Instagram account you will need to make a new one, and we can understand how hard it is to build a social media account from scratch for marketing purposes. Making an account, introducing your business, gaining followers and getting the attention it all can be very tough. Here in this article, we will tell you how to build an Instagram account from scratch and make it ready for marketing. Just follow these simple guidelines to get started with making your Instagram account. To build a new Instagram account you need to first map out your strategy. It is very important that you know what your goals are and how you are going to achieve it. With a planned strategy you will know how you are going to build your account and how you are going to approach your audience. Firstly, you need to see why you are on Instagram. It is very straight that you are here to attract the audience and to convert them into customers. Then you need to see that how Instagram will grow your business. You can grow your Instagram business by making fans and by sending your message to the right audience. Then you also need to see that what your audience wants on Instagram because it can be a very tricky task. 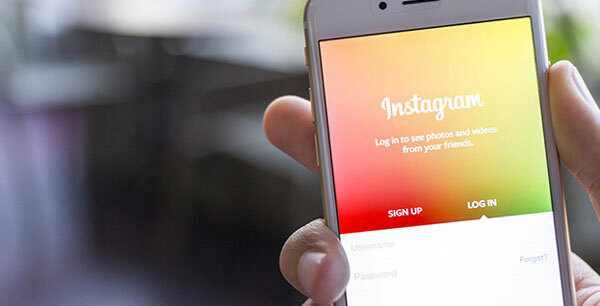 If you are looking to attract the audience and your potential customers you will need to run your Instagram account according to your target audience. If you give them what they want, they will recognize you. So make sure you build your strategies before you run your Instagram account for marketing. While starting your new Instagram account, you need to create your profile, and you need to create it in a stylish manner. Setting up your profile is easy because you will need to do very basic things. To get started with your profile, first of all, pick a profile image that describes your business or your product. Be choosy and select the best image possible because it is going to have an impact. Then you need to add your bio and while writing your bio use some creativity. You can tell people in your bio that who you are and why people need your services or product. The bio tab allows you up to 200 characters so write it in a good way and tell about your business precisely. You can also use smileys to make it look more attractive. Also, make sure that you add your website Url in your bio because that is the only place where you can post a link on Instagram, and you need to drive traffic to your website. If you are starting a new Instagram account and you think that you need to post everything you have and you need to do it, again and again, to make everyone see it, then you are wrong. To run a successful Instagram marketing campaign it is necessary for you to plan your content wisely. You cannot just post anything you want at any time you want. If you do that you will start to overwhelm your audience. In order to run your account successfully, you need to decide that what content is suitable for your audience and at what time you want to post it. For that, you need to know the analytics of your audiences that from where they are and what their age group is. You can get these statistics by using any of the analytics Instagram marketing tools available. Set your goals and key performance indicators and schedule your posting according to them. Tell your stories in a creative way that will catch your audience's attention. Use more quality images of your brand and use famous inspirational quotes to attract your audience. Once you start posting you content with a plan in mind you need to make sure that you stay consistent with it. Stay consistent in posting your content once you have picked a theme for your brand; make sure you stick to it. And also make sure that your posting pattern remains same because you are creating your identity and you can only create it by being unique. According to research if you stick to the same posting pattern you will gain more followers in return. So make sure you are being consistent with your Instagram account. When you are building a new Instagram account you will need to get as many followers as you can because if you want your social media to account to succeed then you will need to have the maximum amount of audience on your page. You can get followers by using many methods but they take hard work. An easy way to get followers and likes for your Instagram account is to buy them. You can buy Instagram likes and followers by using sites likes Vibbi.com. Vibbi is an app designed especially for Instagram which allows you to buy followers online. Apart from buying followers, you can use Vibbi to buy likes as well. If you want to promote your new Instagram account and you need more followers for it, then you will need to build relations with influencers. You can start with paid shoutouts, or you can pay a big Instagram account or an Instagram celebrity to promote your account. You can also drive audience from your Facebook page if you have one because Instagram can be connected to you Facebook and then your shared posts will also appear on your Facebook page. So if you are starting a new account on Instagram, reach out to influencers and take their help to gain more followers.